Dial Interactive has been developing customized Cisco IPPC to UCCE reports since 2001. DI team has worked with some of the worlds largest companies on there Cisco Reporting needs. Benefits of a Custom Aceyus / CUIC Reports are 70% of a call center cost is labor and with custom reports by DI, we can help you company get the information to make the correct decisions in an easy to read and access to your Aceyus / CUIC reporting system. 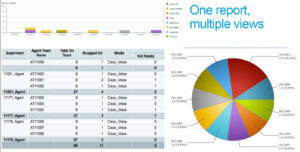 Call Types and other reporting needs do not always match up with the out of the box Cisco CUIC reporting. With DI Custom Aceyus / CUIC reports we will work with your management on their current business drivers to improve your call completion rate and call resolution. 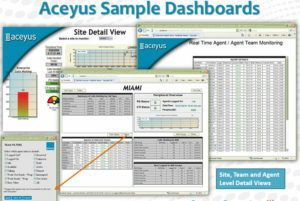 Reports can be run by Management from your existing Aceyus / CUIC reporting system. Many companies have a lack of combined skill sets that include custom reports, custom ‘Wrap-Up’ programs, contact center processes, and contact center technology. DI develops custom reports using Sybase InfoMaker, Crystal Reports BI that will integrate into you current Cisco reporting system. DI’s team has a proven track record in assisting present you call and labor data in an efficient and easy to understand report. Get the maximum out you your current Cisco reporting system.